A friend of mine recently finished George R. R. Martin’s A Song of Ice and Fire (ASOIAF), and she asked me if I had any recommendations for essays or podcasts focused on analysis/theory. My immediate response was, “OH BOY DO I.” Because that’s the kind of reader I am. I may not watch the show anymore, but I am an avid consumer of ASOIAF analysis. If you’re brand new to the fandom or the world of ASOIAF analysis, finding a place to start can feel exhausting. There’s so much available, and not all of it may be good or scratch your specific analysis itch. Because of my particular interests and preferences—themes, character analysis, and mythological and/or symbolic interpretation—I’ve had to pick and choose my way through the analysis world. Many other readers have to do the same or give up because they don’t even know what they’re looking for. So, if you’re as anxious for The Winds of Winter to come out as I am, share my same proclivities, and looking for a way to fill time, I give you my personal, definitive guide to ASOIAF theory and analysis. This one is hit or miss for me, depending on the author. It was one of my first theory blogs, and one that I only occasionally revisit now because I’ve found others I like more. I also admit that I pretty much only read BryndonBFish’s work because I’m not that big of a fan of the other three contributors for various reasons. They’re not awful, just not my preferred approach or perspective. Anyway, if you’re looking for essays on military strategy, political maneuverings, and various battlefield commanders, this is the place to go. BryndonBFish’s essay on the early evidence for Roose Bolton’s treachery brought me to the site, and it’s still one of my favorites when it comes Martin’s foreshadowing of the Red Wedding because of how subtle it is. 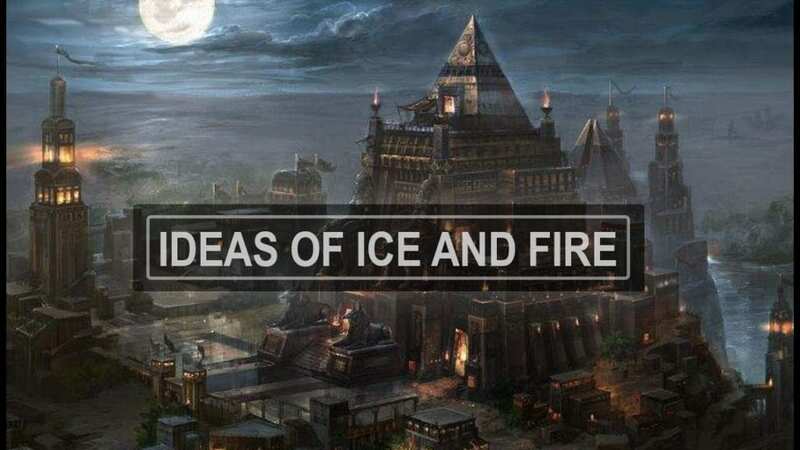 I really like his speculative essays on the upcoming battle of Fire, battle of Ice, Daenerys’s destructive path, and Aegon’s military campaign. He has a couple of great character pieces on Tywin Lannister and Kevan Lannister, and how the latter doesn’t deserve his relatively good reputation. I also highly recommend his essay on Stannis’ flexibility, as it highlights an oft misunderstood characterization that many fans share with in-world characters. Basically, if it has to do with war and military figures, start here. Ah, my first true love. I found Cantuse’ blog via BrendanBFish’s blog years ago and their essays are still some of my all-time favorites. Do you like Stannis Baratheon? I do, and this is the place to go for all things Stannis. Character analysis, plot analysis, predictions for TWOW. Even a thorough, and highly compelling, battle plan for the battle of Ice that puts even BryndonBFish’s series to shame. The whole series on Stannis is called the Mannifesto, and if you have a free weekend, you should read it. It will take you that long—it’s not called a manifesto for nothing—but it’s totally worth it. There are some fascinating theories and character studies along the way. Like the spearwife Rowan being Mors Umber’s long-lost daughter, a Val/Jon wedding Jon may not even be aware of, or Theon being the author of the pink letter. There are even a couple of really tinfoil-y identity theories, like Mance being a descendent of Duncan Targaryen and Jenny of Oldstones. My favorite piece by far is their one on Robert Arryn’s sweetsleep addiction. I actually have to remind myself this theory isn’t confirmed in canon because it makes so much sense. One of the other major emphases of the blog is prophecy: how it functions in Martin’s world, the characters most closely associated with it, and interpretation of some of the most famous prophecies. There’s a whole series on Rhaegar and prophecy that also includes a fascinating discussion of Mance, Jenny’s song, and the ghost of High Heart. Unfortunately, Cantuse hasn’t produced anything new in over a year. However, what is there is analysis gold. I’ve read every essay Cantuse ever wrote. I may not agree with everything they say, but I always enjoy reading it. Some of the best character driven essays I’ve read about ASOIAF come out of reread projects. There are a lot of whole series rereads (some with online discussion groups or podcasts), but my favorite are single character arc rereads that focus on themes, symbolism, and character development. The Sansa reread project Pawn to Player: Rethinking Sansa is a must read, in my opinion. It’s a lot of information and there are dozens of excellent essays compiled by various Westeros.org users over months of work. The table of contents on the forum is very well organized, but reading forum threads can still a lot to wade through and seem daunting. The project has its own website now, and I find it easier to navigate. I recommend starting with the sections on motherhood, women in power, courtly love, and the piece on Arya Stark under female influences. Other rereads worth engaging in are the Quentyn (Prince Mud) and Arianne (Trial by Folly) rereads. Not least of which is because you will get to read our very own Kylie and Julia interacting back in their forum days. If you’re into Arthuriana (the fancy name for the legends of King Arthur) and courtly traditions, check out Lady Gwyn’s website. Her “Rethinking Arthurian Influences in ASOIAF” would be the place to start, then her series on different character parallels and inversions. She brings mythology, archetypes, and other literary parallels to bear on the text, so you can see just how complex the interweaving of various sources and inspirations are for Martin. She’s also a great resource for all things ‘Great Northern Conspiracy’ related, and that episode of her podcast is one I’ve listened to multiple times. Speaking of which, she’s the cohost of the Radio Westeros podcast alongside Yolkboy, and I recommend checking that out as well. It’s not as deep of a dive as some of the other podcasts I listen to, and I don’t always agree with their takeaways for certain characters (like Catelyn), but it’s enjoyable. Most of their episodes are character based, which can be a great way to look a character’s arc across books, as well as theories associated with them, all at once. I really like their ‘myths and legends’ episodes, as well as their one on the Blackfyre conspiracy. They also have fake ‘ads’ from Westeros, songs from the fandom, and other unique little tidbits scattered in. Their tone is light and non-judgmental, which is fabulous given how divisive this fandom can be. Even if they don’t agree with one of your favorite theories, they will always treat it with respect. All in all, a fun way to re-engage with characters and get caught up on the most relevant theories. Background Image is from the game Kingdom Under Fire 2. What I love most about this series of YouTube videos is how it draws a lot of book lore into small, easily digestible videos. If you’re not into essays with word counts in the thousands but want to engage with theories about the origin of the White Walkers, Arya’s future, and the power of Melisandre’s ruby, for example, this is a good video series to check out. You can even listen while doing something else, though the pictures accompanying the videos are quite lovely. This is also a good series to get into if you don’t feel like reading The World of Ice and Fire but want to know what information from it might be pertinent to ASOIAF. He has episodes on the origin of dragons, Asshai, Yi Ti and the Bloodstone Emperor from the Empire of the Dawn (remember this dude, he’ll come up in another podcast/essay series I really like), and more. I may not agree with all of his conclusions, but I always enjoy listening and walk away with something new to think about. There’s also some great Lovecraft lore thrown in, like this joint episode with Lucifer Means Lightbringer on mythical creatures in ASOIAF, or this one on Qohor. It’s short, accessible, and you don’t need a lot of background or a long attention span to get something out of it. Plus, he has a soothing voice. He also has lots of videos about the Dune series, if you’re into that. SweetIceAndFireSunRay is one of the gems I’ve discovered only recently. I’m still working my way through her pieces, and so far, I love them. Her approach incorporates Greek and Norse mythology, parallelism, death and the maiden symbolism, and other forms of symbolic interpretation. The title of her blog comes from the fact that she conceives of the series like looking at a tapestry: at first, only the foreground characters seem to matter, but once you start to look at the background characters and seemingly minor details, you see how they all weave together to tell the main story. Her series on the underworld/cthonic cycle should be standard reading for anyone getting into mythological analysis. I especially love how she draws out just how much Martin likes to play with overlapping and subverting Greek mythological archetypes. Robert, Ned, and Stannis are much like Zeus, Hades, and Poseidon overthrowing a paranoid ruler (Aerys/Chronos) and setting up a new regime. (Robert and Zeus have so much in common it’s not even funny.) But at the same time, Rhaegar acts like Hades when he kidnaps the corn maiden Lyanna/Persephone. Yet instead of being brought back to the world of the living by Robert, Lyanna spends the rest of her (after)life in the underworld/crypts rather than cycling through life and death, as Persephone does. It’s a unique approach and really lets Martin’s artistry shine because of how playful he is with these stories. He’s aware of the archetypes and myths and our expectations of them when we encounter characters who fit certain types. However, he never lets that familiarity lie. He both uses and subverts them at different times, so we’re always on our toes. SweetIceAndFireSunRay brings that tension out well in her pieces. She also has a series on the ‘red stallion’ and horse-related scenes, one on bear imagery, and one on the various ‘ragtag teams of misfits’ in the series. I have yet to read those, but I assume they are as excellent as her chthonic cycle. A lot of the essays or podcasts I listen to add a lot of unique info or a new perspective on a particular character or plot point. This one offers a completely different way to read the series. I listened to the first one on a whim, and I’m hooked. I can’t stop listening and chomp at the bit every month waiting for a new episode. I will never read the books the same way again. It both changes and makes sense of everything at the same time. It’s glorious. So what is this podcast? Well, the underlying premise of Lucifer Means Lightbringer’s (LmL) perspective is that Martin is writing modern mythology and can be analyzed the way all mythology is: with a reference to astronomy, nature, and, especially, symbolism. The myths in ‘Planetos’ (like Azor Ahai, the Long Night, etc.) all refer to astronomical or natural phenomena that occurred in the distant past. These mythologized events also refer to human events along a “as above, so below” kind of logic that we frequently see in human mythology. For example, Christianity’s writings about Jesus draw on a lot of morning star mythology, which is based on observations of the planet Venus, but that doesn’t mean he wasn’t also a real human being. LmL uses the same approach to Martin’s work. Azor Ahai could be both a real person, or category of people, and a mythologization of astronomical events. Moreover, these in-universe myths and legends are highly symbolic and can be analyzed using the methods of interpretation one uses for actual human symbolic history found in our own myths. Almost every theorist I read acknowledges the mythological sources Martin draws from—Chinese, Norse, Celtic, Arthurian, Christian, Mithraic, etc. LmL takes it a step further to say that Martin weaves together the similar threads in each of these mythologies in purposeful ways to create an entirely new ‘mythology’ that underlies the entire series. Martin may draw on existing mythological archetypes (like Persephone) but he’s also creating his own, new archetypes and using them as the basis for his characters and events. And from there, we get weirwood goddesses, green zombies, moons of ice and fire, and a whole (starry) host of other amazing, thrilling, fascinating theories and analysis. Trust me, even if you don’t buy his premise, it will completely change how you read the books in the best possible way. I recommend starting with the above linked piece on modern mythology, then moving on to the Bloodstone Compendium. I listened in podcast order (starting with the oldest), so that’s what I’d recommend, as his analysis builds on itself. All of LmL’s podcasts also exist as essays on his website, which I really appreciate. I like to listen to the podcast while I’m driving, crafting, or working around the house, but I can look up the essay later if I need to remember something. It’s a great format that I wish more ASOIAF theorists used. He also does monthly livestream Q&A sessions after he releases a podcast episode. Those are a lot of fun, and you get to ask him all the questions you might have after engaging with a new piece of his work, plus anything else you feel like. He also links a lot of related pieces and ones that formed his own theories, which is like bonus reading material if you’re into following how theories develop like I am. Check out Twitter, too, where you can find TheDragonLML, Blue Tiger, Ravenous Reader, and lots of other awesome theorists—Unchained, Branthebuilder, RustedRevolver, Septa Shaena, Joe Magician (who also has a pretty sweet ASOIAF theory website), and more!—interacting with each other over analysis and theory crafting. It’s a pretty active bunch, and even when I don’t participate, reading the threads is fascinating. And kind of intimidating given how smart and deep they are. But mostly fun and inspiring. If you get nothing else out of this list, please go read/listen to Lucifer Means Lightbringer. I cannot recommend his work, and the community of amazing people who interact with him and his analysis/theories, enough. It’s so good. What about you? What are your favorite ASOIAF theorists, essayists, podcasters, and YouTubers? Any good analysis I’m missing out on? Tell me in the comments!